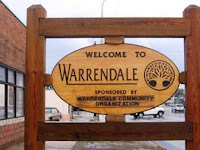 Warrendale (Detroit) Blog: What Can the W.C.O. Do For You? Yes, yes, yes, and yes. All of these things. It's unreal how much crime has increased in the last couple years or so. Not to mention how desolate our neighborhoods have become (although that's not just a Warrendale issue). I bet at least one in four (yes 1/4)houses in my two-block range neighborhood is empty. Something to let potential criminals know these empty homes/businesses are being watched by the neighbors would be an idea - some kind of Warrendale-wide campaign. I also would like to see more interaction between residents and police. We need more of a personal relationship.